Get a chance to relax where the stars do by planning a Laguna Beach vacation with your family and friends! Learn more here! Listed below are other beach properties within a 50 mile radius of zip code 92651. Get a chance to relax where the stars do by planning a Laguna Beach vacation with your family and friends! 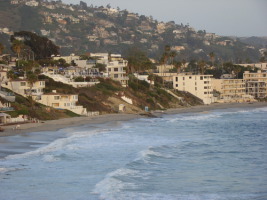 The beautiful Laguna Beach is home to seven miles of picturesque Pacific Coastline and pristine sandy beaches! You'll find beach goers of all ages soaking up the sun year-round, enjoying all the great activities Laguna Beach has to offer- incredible tide pools, diving opportunities, and stunning sunsets on the Golden Coast! Tourists have flocked to this charming destination for over 100 years, vacationing in the comfort of beach rental homes and quaint beach cottages that line bluffs above the sandy coves to enjoy natural beauty not seen elsewhere. Laguna Beach's impressive stretch of the coastline includes the Northern beaches of Irvine Cove, Crescent Bay, Shaw's Cove, Boat Canyon, Diver's Cove, Picnic Beach and Rockpile. Central Beaches include Main Beach, Sleepy Hollow, St. Ann's Street, Thalia Street, Oak Street, Brook's Street and Mountain Road Beach. Southern Laguna beaches include Bluebird Canyon, Pearl Street, Wood's Cove, Moss Point, Rockledge, Victoria Beach, and Treasure Island. Visitors love staying at vacation rental houses in Laguna Beach, where you can park your car and walk downtown to dozens of great shops, restaurants and art galleries. Things to see in Laguna Beach include the Pageant of the Masters, La Casa del Camino, the Sawdust Festival, the Laguna Art Museum, and the Laguna Playhouse. Admire the Hortense Miller Gardens and the Laguna South Coast Wilderness Park, which offers 19,000 acres of open space and marine preserves. Another hidden gem is the Thousand Steps Beach Staircase, which leads to a spectacular surfing area. Many of Hollywood's famous stars like Mary Pickford, Judy Garland, Rudolph Valentino, Charlie Chaplin, Bette Davis, and Mickey Rooney maintained homes in Laguna Beach. President Franklin D. Roosevelt and John Steinbeck also went to Laguna for inspiration and relaxation. With up to 15-foot waves and great weather, surfing and skimboarding are popular among both locals and visitors. Cast a line and try your luck at the plentiful fishing along the coast of Laguna Beach, or explore the stretches of tide pools, which give you an up-close look at marine life without having to get your hair wet! And don't forget, Laguna Beach is located in the heart of Orange County, just a short drive from all of Southern California's popular theme parks and venues.